Yesterday, news of the release of 82 Chibok girls brought smiles on the faces of Nigerians. Now fresh details have emerged on negotiations and how the girls were released. According to Sahara Reporters who broke the news of the released girls, ‘senior sources in Nigeria’s military have told us that the 82 Chibok girls released by Boko Haram, regained their freedom after intense negotiation with a faction of the militant group’. “Tthe sources disclosed that the deal involved the Federal Government’s release of two senior Boko Haram commanders who had been in detention by the Nigerian security services. 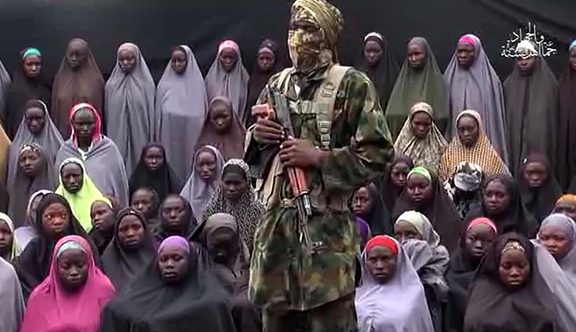 The Boko Haram team had, in turn, brought the 82 Chibok girls to the outskirts of Banki where a heavy contingent of Nigerian troops took custody of them. The sources said the negotiators included operatives from military intelligence as well as officials of the Department of State Security (DSS), Nigeria’s secret police’.